Person I Owe: Kate Gabrielle of Scathingly Brilliant and Discovering Dirk Bogarde. It's no secret that Kate Gabrielle is a huge Dirk Bogarde fan. She really wants to get as many people on the Dirk Bogarde bandwagon because she believes in him that much. She sent me a burnt copy of Hot Enough for June (1964) a long time ago in hopes that I would watch it even if I were to throw it away later. I watched it and I am keeping it. Thanks Kate! Review: Dirk Bogarde plays Nicholas Whistler, an unemployed writer who has just been placed in a job at a glass manufacturing company. But this company is not really what it seems to be. In fact, it's really a spy agency. They hired Nicholas solely on the fact that he speaks some Czech and they need a decoy to pick up a secret message in Czechoslovakia. Nicholas, reluctant to take the job but happy for the pay, gets sent on a business trip to Czechoslovakia (hey this is 1964 remember!). He has to use the code phrase "Hot Enough for June" and await a certain reply in order to find the person who was to pick up the message. Nicholas meets Vlasta Simoneva (Sylva Koscina) who pretends to be his driver but happens to be a Czech spy. Nicholas gets into deep, deep trouble when he falls in love with Vlasta and tries to escape the country with that important message. At first the film started out a bit slow. I thought, oh geez, is this going to be a boring British film about a writer making ends meet. 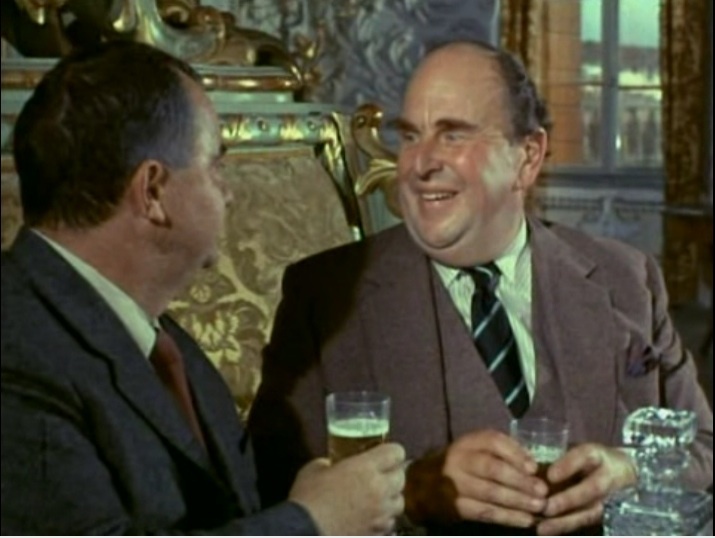 But when the spy element of the story started, which was pretty early in the film, and they introduced the lovable Robert Morley, I knew this was the film for me. 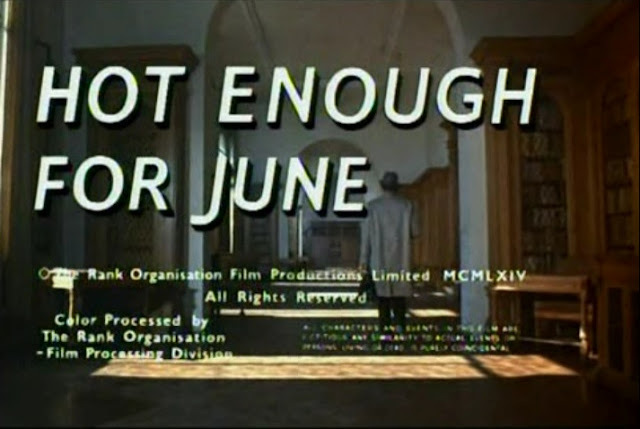 Hot Enough for June (aka Agent 8-3/4) is a wonderful British spy caper that keeps audiences at the edge of their seats. They make a gorgeous couple don't they? 1960s films are full of shots like these. Gratuitously sexual. I laughed out loud when I saw this! I've only seen one of his films, so I'll have to check more out. This sounds great! He is cute, ha. I'm so glad you finally saw Hot Enough for June. 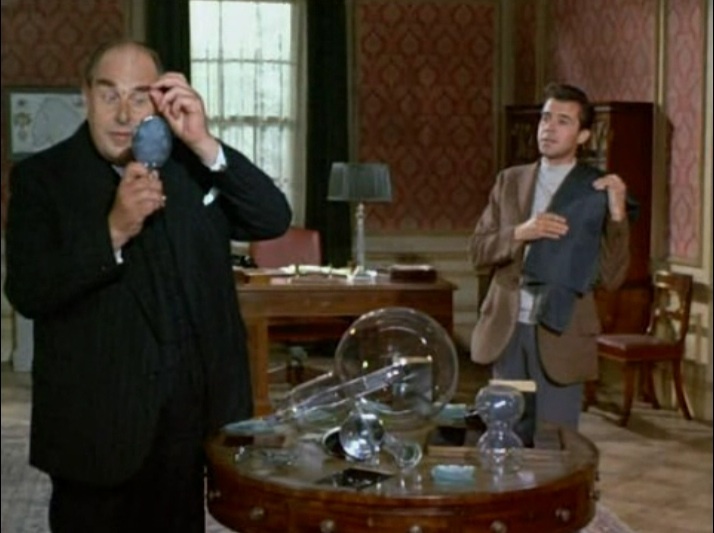 It is one of the absolute best of the Sixties spy parodies. Heck yes! Kate was kind enough to send me a copy of this as well. It really is a lot of fun (and a lot of fun to look at Dirk).